Donald Trump promised he would drain the swamp in Washington, but his proposal to repair our crumbling infrastructure will do anything but that. It’s the same kind of special interest giveaway voters revolted against on Election Day. He’s peddling a self-serving approach that is nothing more than a huge tax giveaway to rich developers and investors like himself. On top of that, the public won’t even own the roads and bridges that get built. 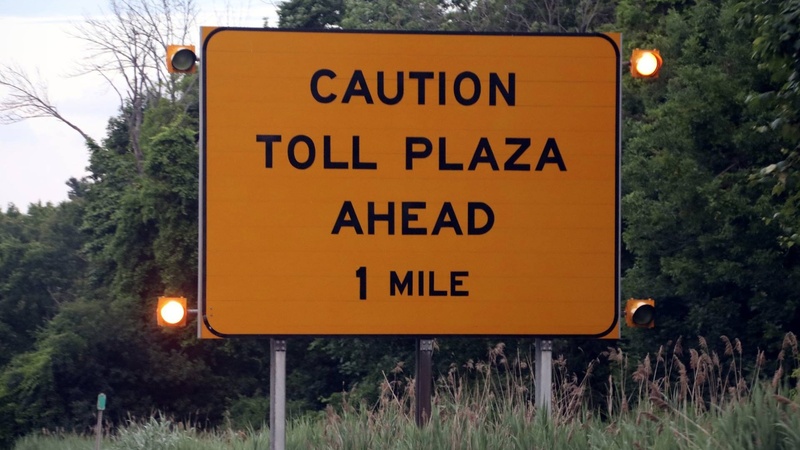 They’ll stay in the hands of private developers — who will be able to charge tolls to drivers who already paid for these roads with a tax giveaway to the developers. As explained by several commentators recently — including Ronald Klain, Paul Krugman and Dave Johnson — instead of having government spend directly to fix our dangerously outdated roads, bridges, airports, water systems and more, Trump would give big tax credits to his old pals in the development industry to encourage them to do it. Trump’s plan proposes that taxpayers spend $137 billion, but that money would not directly pay for infrastructure improvements. He would instead use our tax dollars to give tax credits to private investors covering 82 percent of the capital they invest in infrastructure projects. That means for every dollar a wealthy investor put into a project, they would actually pay only 18 cents and taxpayers would contribute the other 82 cents. There’s no requirement or guarantee that the projects for which developers are pocketing their big tax giveaways are the projects we most need. Many of them would have been built anyway, even without the tax sweetener. Once built — and despite the public investment — the new roads and bridges would be private property. That means investors will try to make as much money as possible by charging the public for their use. This will lead to price gouging for essential services. This money-making motive also will mean certain projects won’t get many takers: how do you turn a hefty profit on improved storm drains? Trump’s plan prides itself on cutting red tape and bureaucracy — well-known code phrases for screwing employees, consumers and the environment. Workers will receive sub-par wages and have their unions broken. Drivers will be charged big tolls for getting to work. Home owners will pay bigger bills for their water. Lakes and rivers will be polluted through corner cutting and unregulated construction. Best of all, us taxpayers get to pay for it! Voters in this election said loud and clear that they are tired of Washington politicians who listen to the special interests, not to them. They want a government that works for working families, not the rich and powerful. That means we need an infrastructure building plan that serves the American people instead of greedy investors and fixes what most needs fixing. And there’s plenty of fixing to do: America’s civil engineers estimate we need to spend $3.6 trillion to get all our national infrastructure resources up to snuff. It should not be paid for by squeezing middle-income consumers with tolls and fees. Instead, corporations and the wealthy need to start paying their fair share of taxes. That begins by collecting the full $700 billion America’s multinational corporations owe in U.S. taxes on the $2.5 trillion in profits they have stashed offshore. Trump’s infrastructure boondoggle is undoubtedly just the beginning. Watch this space as Trump continues to roll out proposals that offer private gain and public pain, punish working families and make him and his rich friends even richer.